Infusionsoft Web Form Comparison - What is the best integration? Which Web Form Integration for Infusionsoft Is Best? You’ve been searching the web now for quite some time coming up with comparisons for the various web form options to integrate Infusionsoft with your WordPress website. And up until now you’re either really confused about the different options or you’re just about ready to buy. But before you do you should read this first. We are taking the top WordPress web form solutions that are either for specifically designed for Infusionsoft or integrate with Infusionsoft, and comparing them head to head in the following categories. User Friendliness. Infusionsoft is not the most user friendly software on the market, so we don’t want to add any more complication to get your campaign up and running. What’s the time commitment to setup? What’s the learning Curve like? Does it do everything you need it to, what are its limitations and what are its strengths. Does it make your forms look good? Are they mobile friendly? Can your users use them easily? Do your forms work well with this plugin? Are there API calls? Will black magic render your forms useless? Will it work with your already existing plugins? What it all boils down to, what is the monetary investment? And now it’s time to meet the contestants, the top rated solutions by the Infusionsoft community. The entries are listed in no particular order and are given a score out of 10 in each category. This absolutely free plugin is a great solution if you’ve just setup your website, you’re new to Infusionsoft, or you already have a lot of Contact Form 7 forms on your website. It’s quite intuitive and user friendly with an initial setup time of under 5 minutes. It’s mobile responsive and it’s not difficult to develop a look that suits your needs, although if you want to customize the colors and sizes of your forms, then be prepared to know CSS and HTML. This solution is not recommended if you need customer information such as custom fields and radio button information as this plugin is limited to sending the First Name, Last Name, Email, and Phone # to Infusionsoft. However, Contact Form 7 functionality stays in place and you’ll receive an email with the information they filled as normal. Infusionsoft Official Opt-in Forms is essentially a free version of Thrive Leads. It’s packed with a bunch of nifty features that lend themselves mainly to small opt-in strategies. So if you have longer forms that you need to collect information, this isn’t for you. But if you are only collecting first name and email, then you’ll have a good time with this. The pop-up feature is really cool, although you’ll need to play with the settings to get it to work properly, and there aren’t as many options to play with as there are in Thrive Leads. It’s setup process is a step by step system that is easy to follow, if not too lengthy, but you’ll need to set aside a fair amount time if you’re not a wiz kid genius with WordPress. Its customization is lacking, there are a few color options that you can play with, but if you’re looking for something that you can fully customize, this isn’t it. All in all, it’s a good FREE, low level, non techie opt-in solution. This also uses a custom WordPress goal in the campaign builder, so you do not need to build any forms in CB, saves time! You will NOT be able to use any forms you made pre-existing however. But be warned, the version number is 1.0.4, and updates are lacking (The last one was 10 months ago as of 2018/03/06). the Infusionsoft development team acknowledges that this plugin is near the bottom of the priority tree. The total time from start to finish of creating a form and placing in on your site can take 30 seconds or less it’s that easy. But do not be fooled by its apparent simplicity, it’s a powerful plugin. It comes with 4 main functions. You have the ability to completely customize the look of each individual web form that you have with over 45 different styling options. You can setup selection based redirects in case of the need of multiple thank-you pages. There is a conversion tracking system with three tracking methods as standard to tell you how your web forms are performing. And you can send user information to pre-populate form fields to ensure the continuity of a user journey through a campaign. There are no known compatibility issues to this point, and FormLift forms can be easily inserted into your currently existing lightboxes, or modals. It particularly shines if you’re using a drag and drop type page builder. 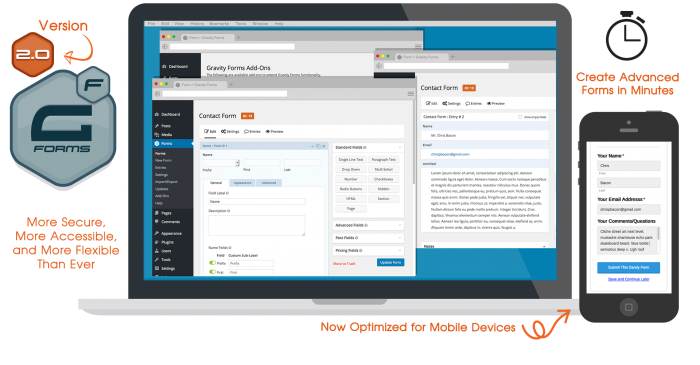 If you use a lot of web forms in your campaigns already and are looking to give them a face lift, then this is the solution for you. GIVE YOUR WEB FORMS A FORMLIFT! UPDATE TODAY FOR ONLY $27.00! 🔒 Your privacy is important to us. We’ll never share your information. This is the most popular in the Infusionsoft Community at the moment because of it’s extensive functionality and its large library of add-ons. However, be prepared to drop some cash to use this, because if you want the basic add-ons you have to have the minimum business license, and to have all of them you’ll be paying the full fare of $199 per year. The Infusionsoft add-on is free however. It’s not the most intuitive software. There are LOTS of options, most of which you won’t need to have a registration form or an opt-in form. Gravity Forms in and of itself is quite powerful, but like a road car with 750 horsepower, you just can’t possibly use all that power in the real world. The actual integration with Infusionsoft is twofold. First you have to create the form, which can take some time because you have to build it out in gravity forms and NOT Infusionsoft (and you wont be able to use the forms you already have in Infusionsoft with gravity forms). Then you have to map the fields in that form to the fields in your Infusionsoft application, which again can take sometime if you’ve used up all your 100 custom fields. Unfortunately, Gravity Forms out of the box does not provide any fancy styling options to develop a look for your web forms. For that you need to create custom CSS classes and manually add those to the fields when you create the form, which is a bit annoying. In conclusion, if you have to do quizzes, collect money, have multiple CRMs, or you need complex functionality from your web forms, I’d recommend this. However, be prepared for a learning curve and spending some time testing before being able to launch a form successfully. If you need to create a form quickly, under the gun, Gravity Forms is not for you. 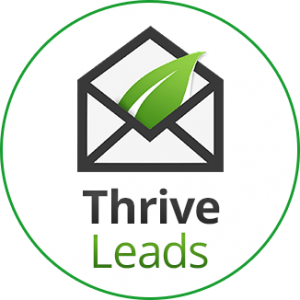 Like Success Forms, Thrive Leads really lends itself to the opt-in strategy, collecting First Name and Email. It excels at it actually. 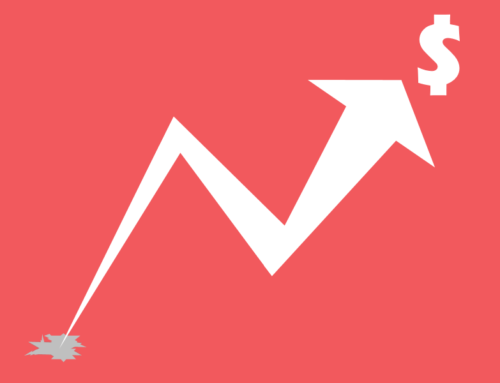 I’ve seen large conversion improvements utilizing Thrive Leads. But it’s not all good news. Thrive leads is not user friendly, at all. There are, like Gravity Forms, tons of options to play with. But unlike Gravity Forms, you can use all 750 horsepower of this plugin, or rather you have to be able to use all 750 in order to make it work, this is a track car. You better get racing lessons if you’re going to make this work. Thrive leads fortunately does not leave you hanging and provides lots of videos and documentation for new users to sift through. The integration with Infusionsoft is straightforward, again you use the un-styled HTML code, so it’s quite reliable, and if you have pre-existing forms you can hook them up to Thrive Leads. Setup time for just 1 form can take in excess of 45 minutes, to get all the settings and form in place. So if you’re a one-man operation and you don’t have the time to do something like this, either have someone do it for you or look into one of the other options. And again, if you have longer forms where you’re collecting a lot of customer information in a single form, this isn’t for you. Thrive is for at most 5 fields in a form (this is a recommendation based on results rather than an enforced restriction). Out of the 5 options, the two I would use are FormLift and Thrive Leads. FormLift is powerful enough to make your life a lot easier and give you the looks you want, while still being user-friendly and providing tons of functionality. 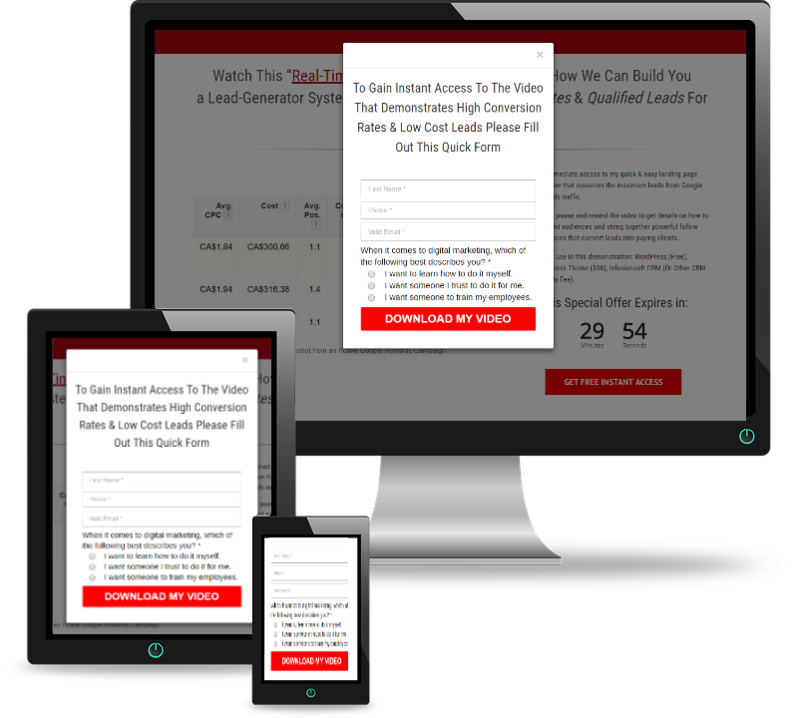 Thrive Leads is a great list builder and conversion booster, and given you put the time into learning how to use it, it can make all the difference between an impression and a successful conversion.